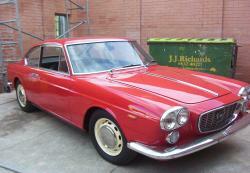 1963 Lancia Flavia Coupe PG 1. 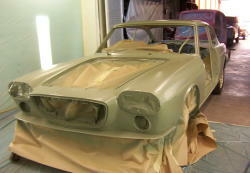 The car as it arrived, for its age it appeared to be in very good condition. 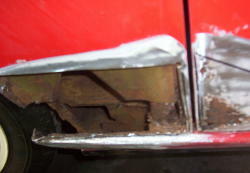 A small amount of rust was discovered and repaired. 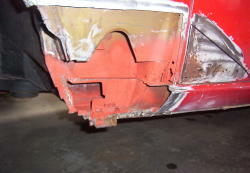 These cars are front wheel drive, the entire power unit comes out on a subframe. 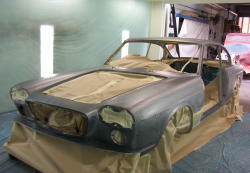 Bare body shell ready for primer, the body was remarkably rust and damage free.. 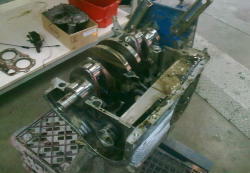 The car did not run well at all, a blowen head gasket was found as well as damaged bearings and very low compression. 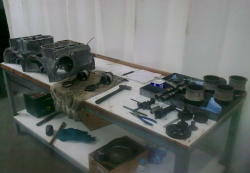 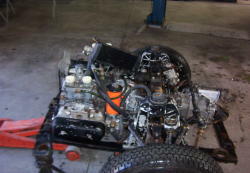 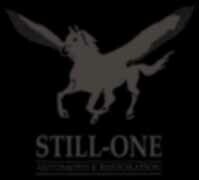 The engine was stripped for a complete restoration.